Eight Acoustic Rock Songs That Will Blow Your Mind! In no particular order, here are some of The Rock Riff’s favourite acoustic performance video. These songs were chosen due to the emotion that it evokes from the performer and the listener as well as the quality of the performances. I hope you have enjoyed this short, but entertaining article. The Rock Riff does not own this image. Credits to the photographer. Copyright Jeremy Saffer. First of all I would like to thank Roadrunner Records for making me aware of this band. Suddenly this band’s name popped up everywhere on social media and on Roadrunner Records’ newsletter. Eventually I decided to see what all the hype was about…I now know EXACTLY what it was about ;). I love their latest single “Dancing on Nails”. 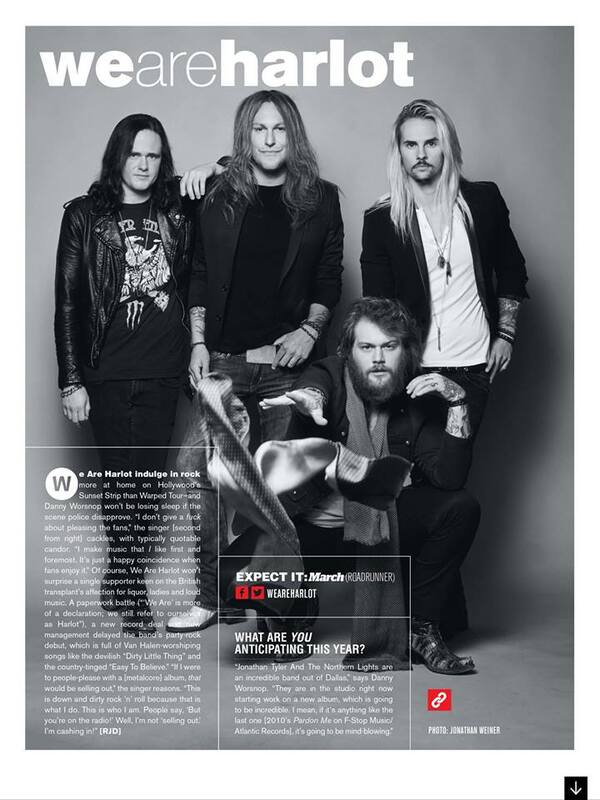 We Are Harlot often shortened to just Harlot is a rock band organised by Danny Worsnop (formerly of Asking Alexandria) and guitarist Jeff George (formerly of Sebastian Bach). The lineup is comprised of Brian Weaver from Silvertide and drummer Bruno Agra (formerly of Revolution Renaissance). The band’s goal is to be a rock and roll band inspired by legendary bands such as Aerosmith, KISS, Def Leppard and Van Halen, intending to be a modern re-creation of 80’s rock and roll music. 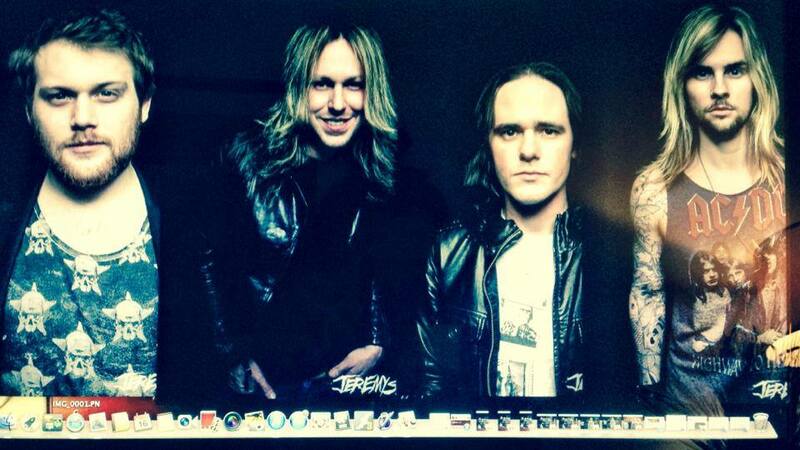 In 2011 Danny Worsnop met Jeff George met due to the fact that they used the same lawyer Eric German in Los Angeles. After the meeting the two members moved in together as roommates and Danny invited Bruno which then lead to the three of them recording some demos. Initially the material was going to be used as material for Danny’s solo record, but they advertised the role for a full-time bassist, met Brian Weaver from Silvertide and developed into a band. 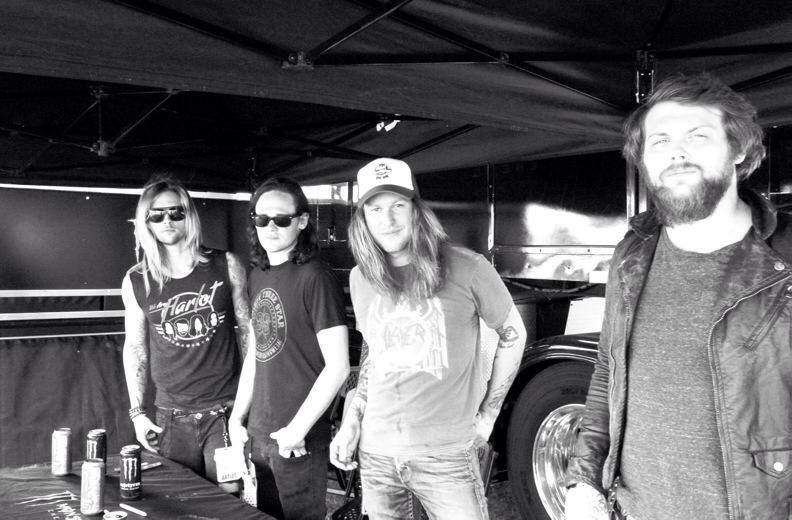 In 2014 the band was announced as one of the acts of the annual rock festival Rock on the Range under the name “We Are Harlot” and it was the first time that the band performed in front of a live audience. 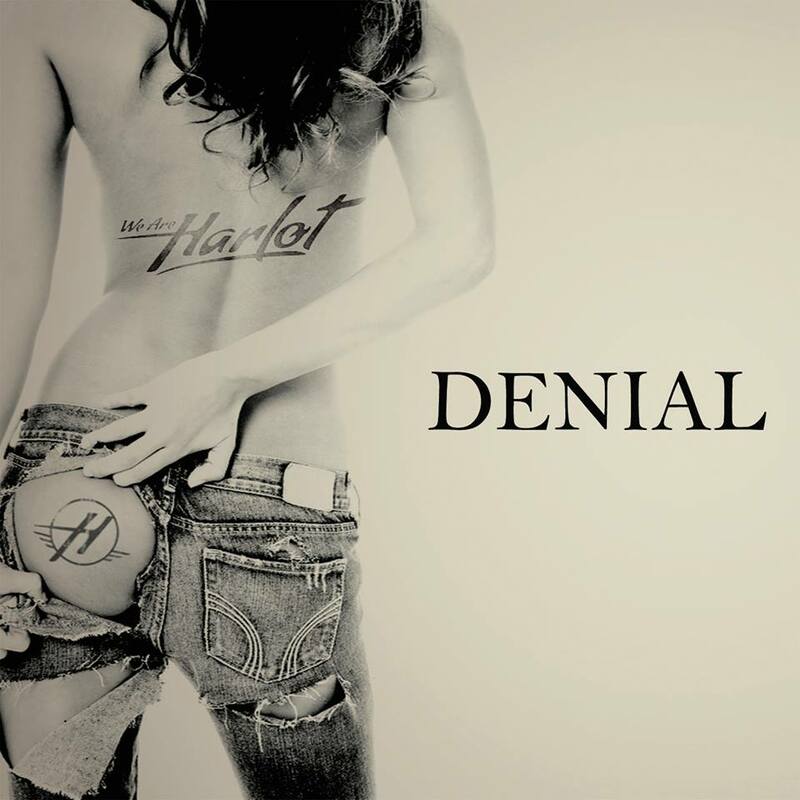 Initially the band was named Harlot, but due to copyright and legal issues the name changed to “We Are Harlot”. Upon signing to Roadrunner Records, the band explained that when the time came to sign a record deal, a lot of record labels came calling. Roadrunner championed the band from the start and their foundations are built on great rock ‘n roll bands that the band loves. We Are Harlot would love to continue carrying the torch for rock ‘n roll culture. After their performance at Rock on the Range the band played at many other different festivals and tours including Rocklahoma in May where they replaced Trivium when their lead singer damaged his voice. The song ‘Denial was released last year and drew attention from the WWE, who picked the track to be the new theme song of the its television program Monday Night Raw. We Are Harlot supported The Pretty Reckless on the 28th of May at the Hard Rock Hotel and Casino in Las Vegas and performed “Denial” at WWE Raw on the 18th of August. The band also performed at 2014’s Aftershock festival in September. In early 2015 the band issued a statement via Rocksound magazine announcing that they will be releasing their debut album in March 2015. 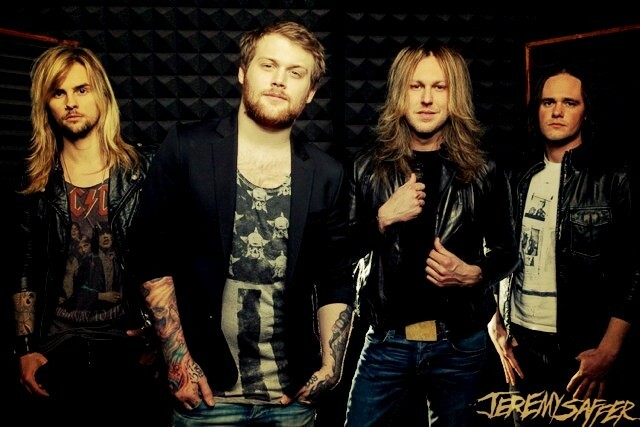 ‘We Are Harlot’ was recorded at Steakhouse Studios in North Hollywood, Calif., and produced by Kato Khandwala (The Pretty Reckless) along with Worsnop, George and Agra. After releasing their second single “Dancing On Nails” the band made their debut album available for pre-order on iTunes for the 31st March 2015. Danny Worsnop announced his departure from Asking Alexandria, stating that he thinks Asking Alexandria will do better without him and he would like to focus more on We Are Harlot. The band’s presence is confirmed for South Florida’s ‘Fort Rock’ festival, North Florida’s ‘Rockville’ festival in April 2015, Rock on the Range, ‘Northern Invasion’ based in Somerset both of the latter taking place in May and the band will be performing at Download Festival in June. I love this band, because they have an unbridled fire and passion which make them a force to be reckoned with. I’m happy to see a band setting out to deliver a modern twist on rock ‘n roll music which is right up my alley. Everything that We Are Harlot do seems effortless which makes their music even more enjoyable. I’m sure we’ll be seeing much, much more of this band. I think it took a lot of faith in his band mates and courage for Danny Worsnop to leave a successful band to start a new band. After hearing their songs I can see why he made the drastic change and it counts in their favour that none of them are new to the industry which is a great advantage. I believe this band will go from strength to strength.